The weekend's 7.8-magnitude earthquake near the capital of Kathmandu caused widespread devastation and the death toll has surpassed 4,400. On Monday, the International Federation of Red Cross and Red Crescent Societies issued an appeal to raise 33.5 million Swiss francs ($35.2 million) to provide emergency assistance. "We call on all partners and donors to urgently and generously support our action," said IFRC Secretary General, Elhadj As Sy. United Nations: The office for the coordination of humanitarian affairs is releasing $15 million from the U.N.'s emergency relief fund. It expects to issue an appeal for donations from member states later this week. Japan: Announced a 1 billion yen ($8.4 million) grant and sent rescue personnel. Norway: Donated 30 million Norwegian kroner ($3.9 million) for relief efforts. Australia: Donated 5 million Australian dollars ($3.9 million) and sent experts. China: Its Ministry of Commerce has reportedly given 20 million yuan ($3.2 million) in humanitarian aid, according to the Chinese newspaper, China Daily. Asian Development Bank: The group of 48 countries in Asia and the Pacific are providing a $3 million grant. 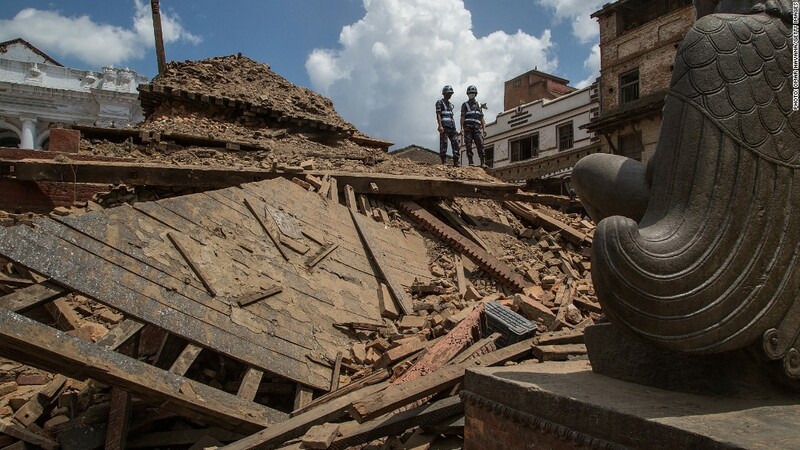 AmeriCares: The group has raised $750,000 to support relief efforts in Nepal. American Red Cross: $300,000 initial contribution. Pepsi: Is also donating bottled water and food. Toyota: Making a combined donation of 10 million yen, or about $84,000. Microsoft: Has pledged $1 million in cash and in-kind donations. It is also offering free Skype calls to and from Nepal. UPS: Pledged $200,000 to various charities working in Nepal. Communications companies: T-Mobile, Sprint, Verizon, Vodafone Time Warner Cable and others have waived fees for calls in Nepal. Payment providers: Apple, PayPal, Square Cash are waiving fees and taking other steps to facilitate donations. Help expand this list. If you are part of a group that is taking part in Nepal relief efforts, please let us know.